Lakeshore Records will release THE VATICAN TAPES – Original Motion Picture Soundtrack digitally on July 17th and on CD on August 14, 2015. The film features original score by Joseph Bishara (Insidious Trilogy, The CONJURING). The Vatican Tapes follows the ultimate battle between good and evil - God versus Satan. Angela Holmes (Olivia Taylor Dudley) is an ordinary 27-year-old until she begins to have a devastating effect on anyone close, causing serious injury and death. Holmes is examined and possession is suspected, but when the Vatican is called upon to exorcise the demon, the possession proves to be an ancient satanic force more powerful than ever imagined. It's all up to Father Lozano (Michael Peña) to wage war for more than just Angela's soul, but for the world as we know it. Joseph Bishara is a composer and music producer who combines a range of elements and approaches for the unique and dark aesthetic of his work. He won the Fangoria Chainsaw Award for Best Score for Insidious, and again collaborated with director James Wan to compose the scores for The Conjuring and Insidious: Chapter 2, then later with Leigh Whannell for Insidious: Chapter 3. Fans of Insidious have not only heard his work but have also seen him materialize on-screen, as the Lipstick-Face Demon. He appeared in The Conjuring as the nightmarish witch Bathsheba; and in Annabelle, directed by John Leonetti and for which Mr. Bishara also composed the score, as the Demonic Figure. THE VATICAN TAPES is a Pantelion release of a Lakeshore Entertainment and Lionsgate production, premiering in theaters July 24, 2015. 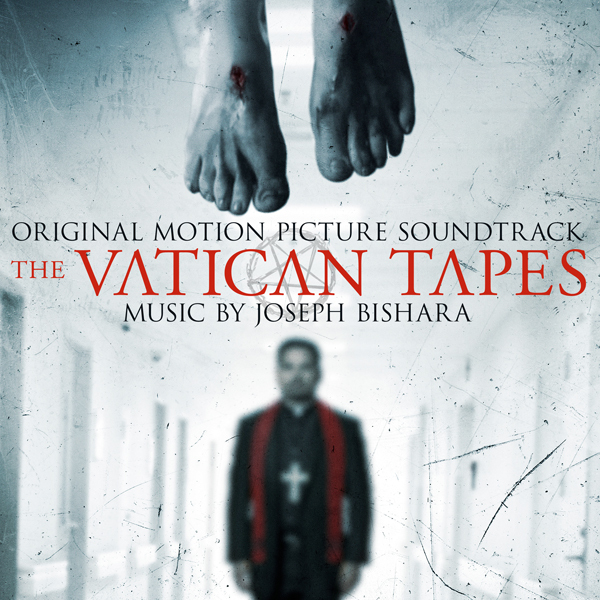 Lakeshore Records will release THE VATICAN TAPES – Original Motion Picture Soundtrack digitally on July 17th and on CD on August 14, 2015.